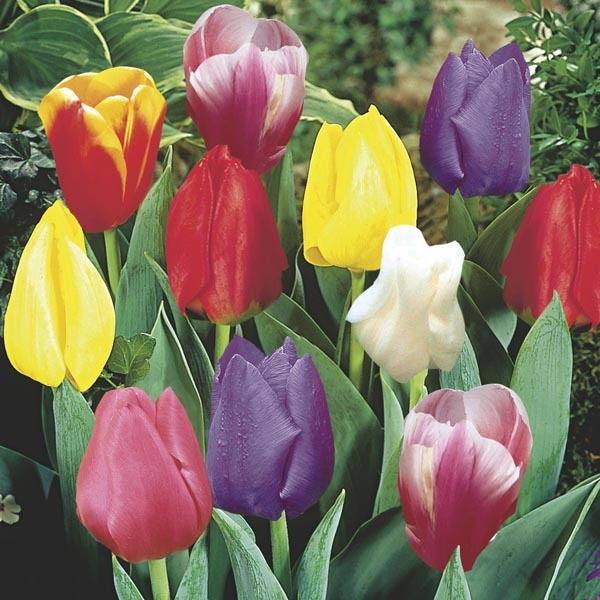 Tulips come in a wonderful range of colors, with many flower form variations beyond the well known cup shape. The creative possibilities for a stunning spring display are endless. Regardless of differences in appearance, all tulips share a dislike of excess soil moisture. A reliable choice for borders, containers and rock gardens. Cut flowers are long-lasting in fresh bouquets. Best planted in groups.